How tall is Joey Badass? 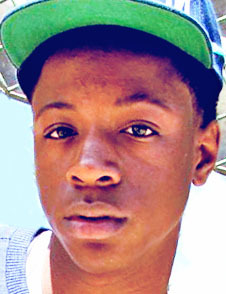 Joey Badass (stylized as Joey Bada$$) was born in Brooklyn, New York City, New York, USA (January 20, 1995) who is a rapper. He is of Jamaican descent. Badass grew up in Bedford–Stuyvesant, Brooklyn. Joey Badass made his first mixtape entitled “The Secc$ Tap.e” with Pro Era on May 20, 2012. After that, he released his first solo mixtape “1999” on June 12, 2012. He released ten singles. Badass released his debut studio album entitled “B4.DA.$$” on January 20, 2015. What are Joey Badass’ record labels? Joey Badass’ record label are Relentless Records and Cinematic Music Group. How much does Joey Badass weigh? Joey Badass weighs 176 lbs or 80 kg. Who with did Joey Badass collaborate? Joey Badass has collaborated with DJ Premier, Black Thought, Ab-Soul, ASAP Rocky, MF DOOM, Collie Buddz, Dizzy Wright and Flatbush Zombies.